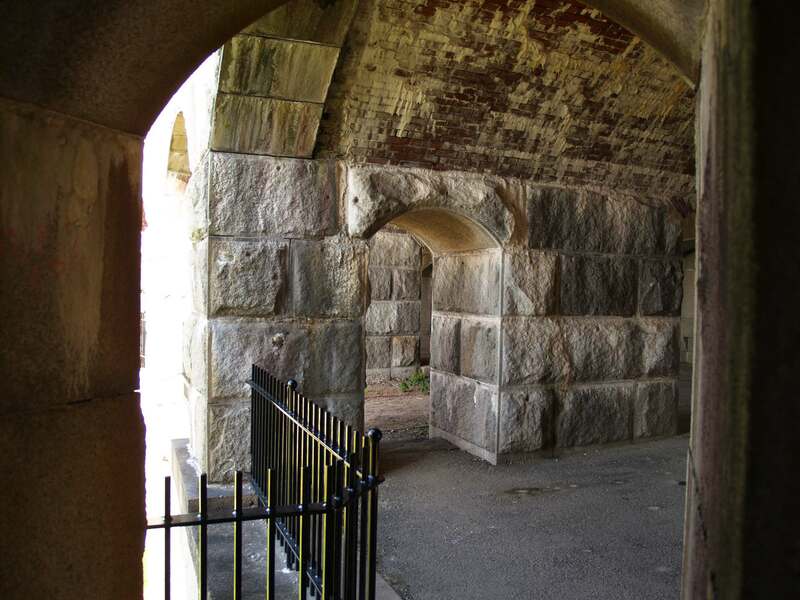 Fort Popham is a semicircular granite fort built in 1862 on the banks of the Kennebec River to protect Augusta from Confederate invasion. 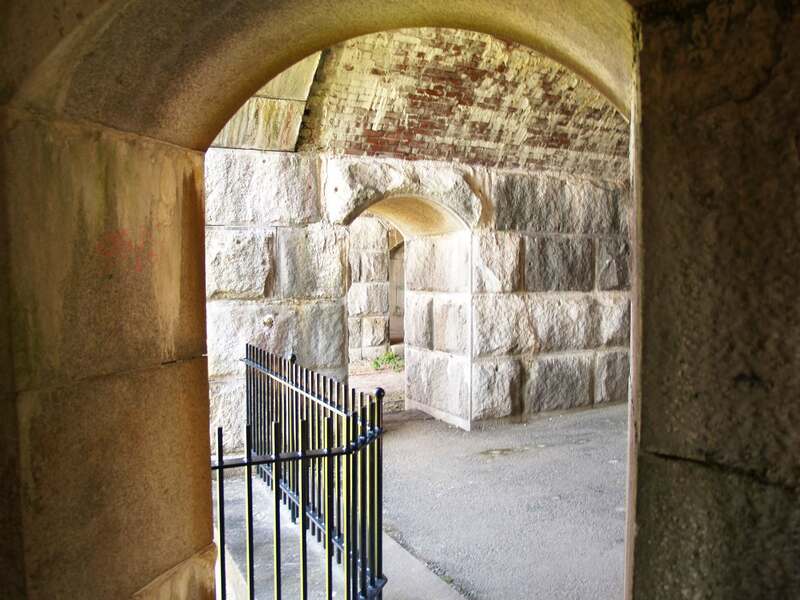 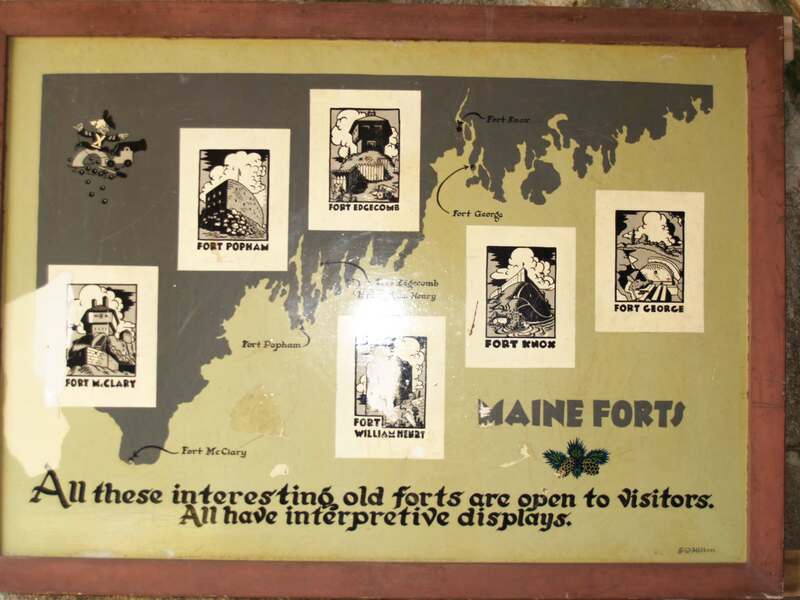 The fort was named after George Popham – the leader of the Popham Colony that was established nearby. 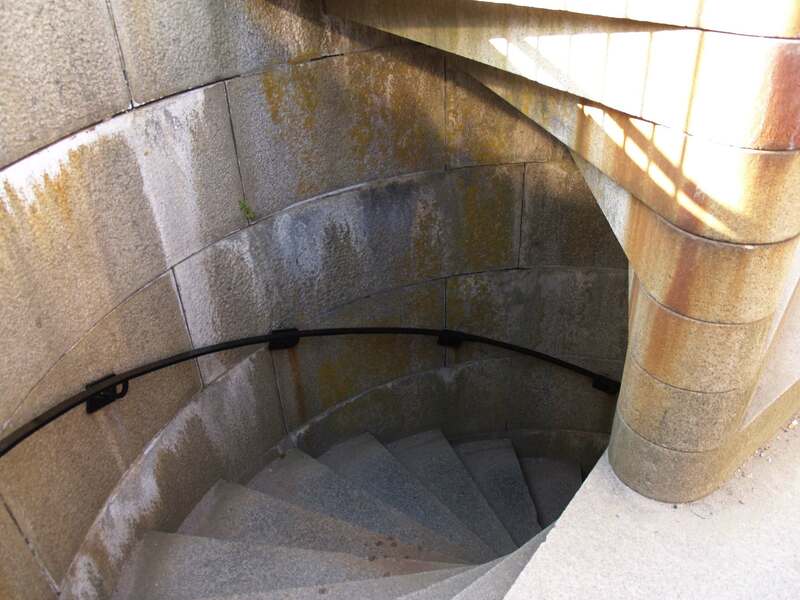 It was never completed. 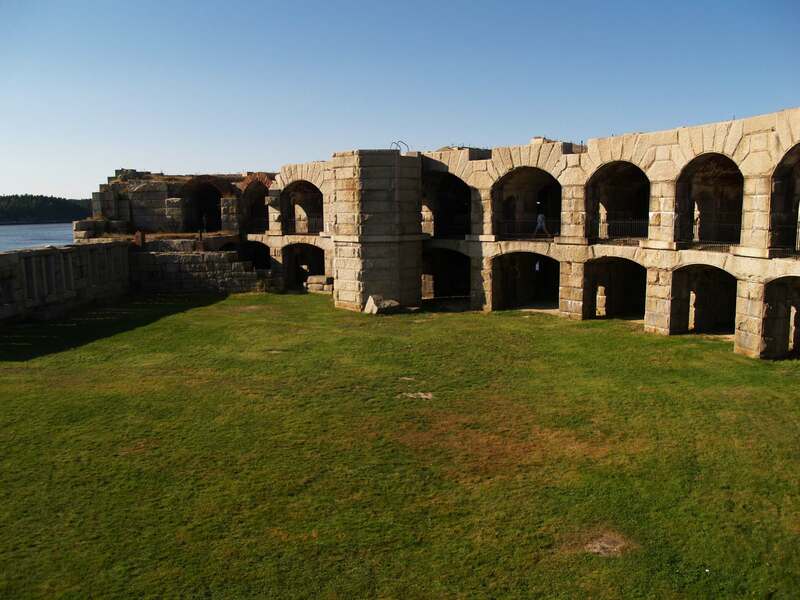 It is composed almost entirely of granite blocks and utilizes a unique crescent shape that spans almost 500 feet in circumference. 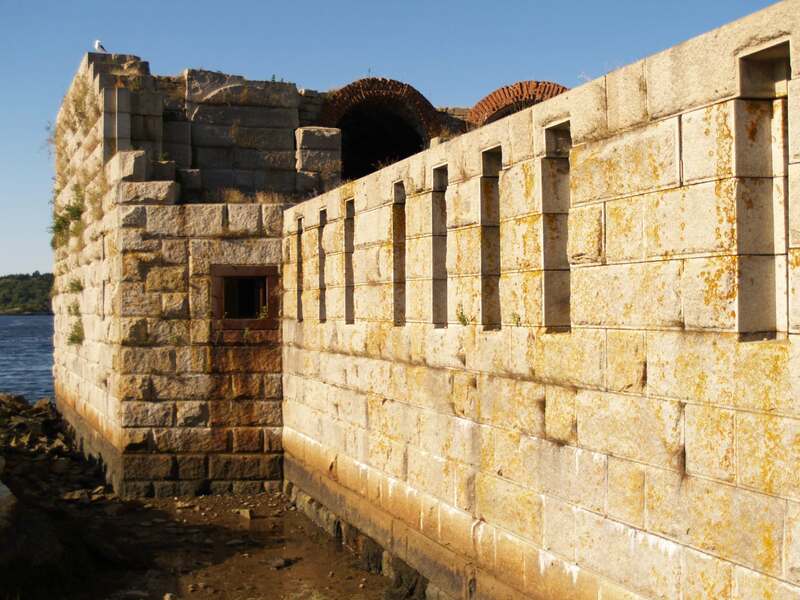 Within the walls were 36 cannons that were arranged with two separate tiers of casements. 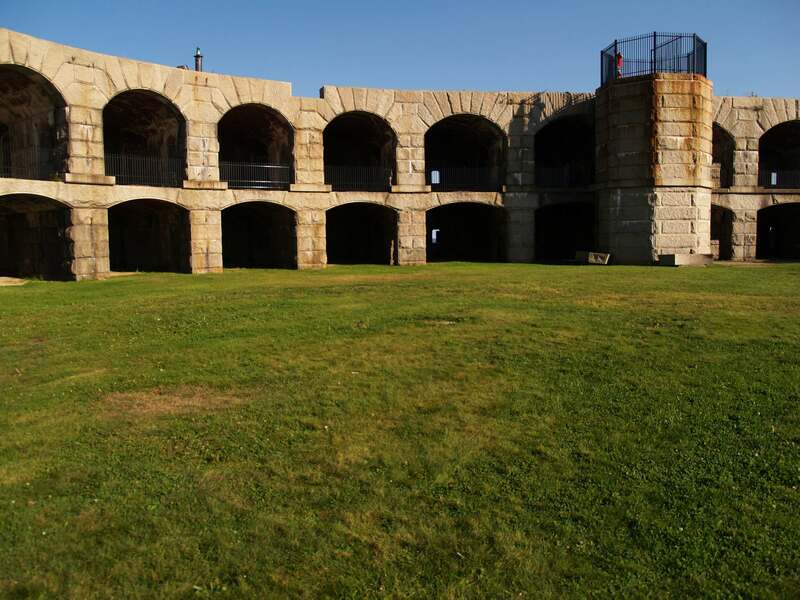 Each individual cannon weighed around 25 tons and could fire shots that would weigh up to 480 pounds. 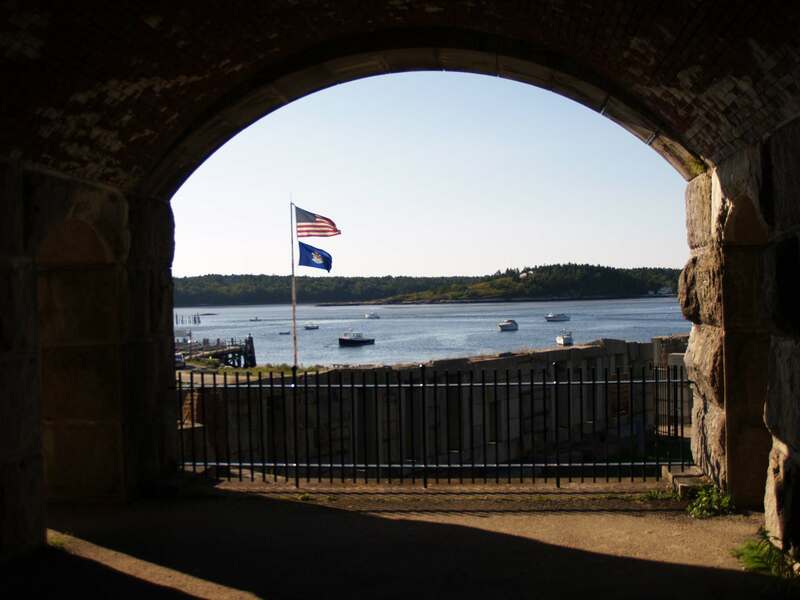 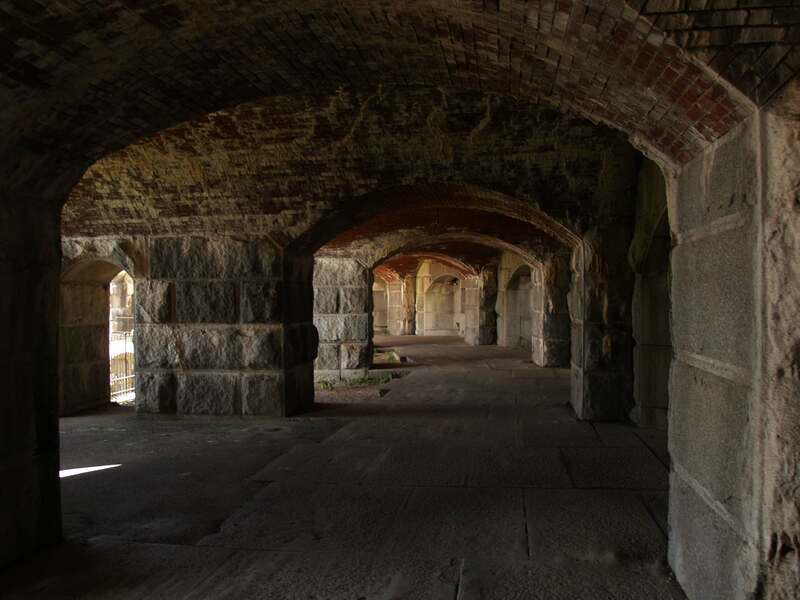 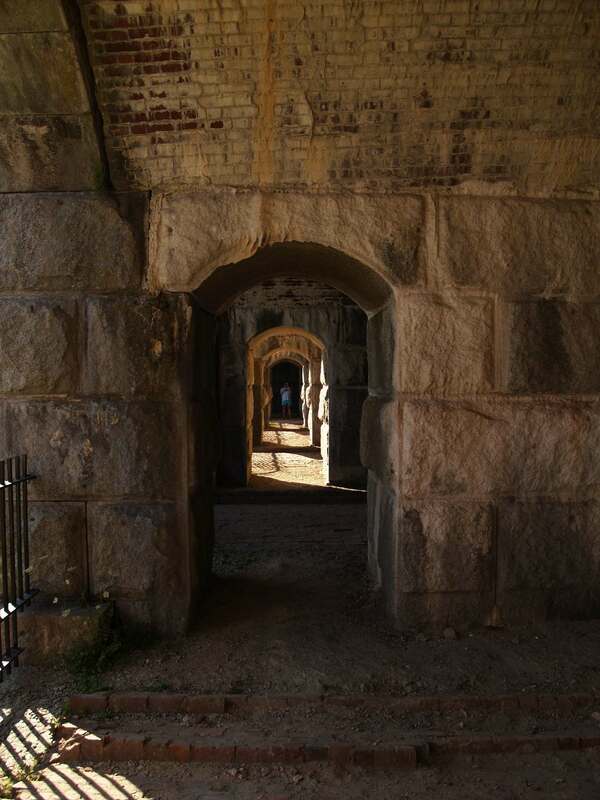 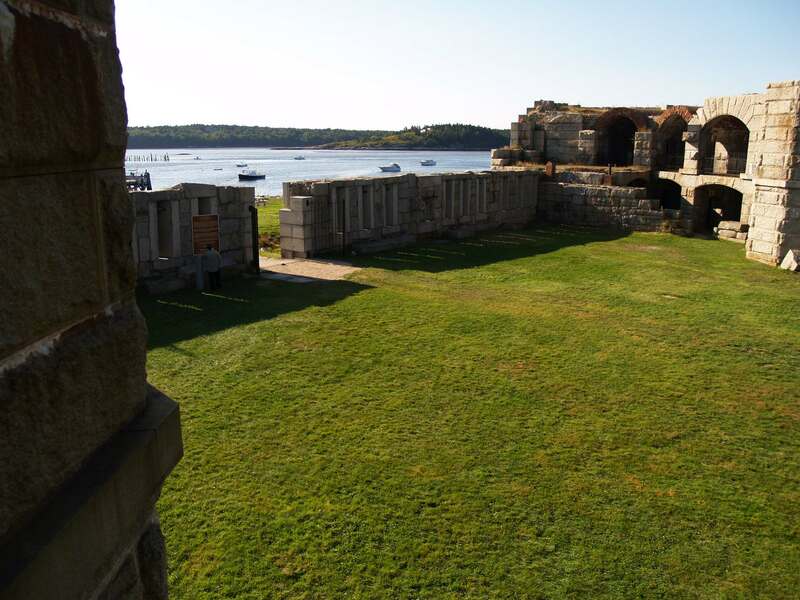 On the backside of Fort Popham, a low moated curtain was built that featured 20 musket ports around a central gate.